Mumbai : Markets regulator Securities and Exchange Board of India (SEBI) and the fair trade watchdog Competition Commission (CCI) have approved the merger of United Stock Exchange of India with the BSE, making it the first merger of two exchanges in the country, the premier bourse said Monday. For the merger to go ahead, however, the exchanges will have to secure the approval from the Bombay High Court as well, where the proposal is pending. The move will boost BSE's own currency trading business, which has seen massive spike in recent months following the introduction of faster technologies following which the oldest bourse in Asia massively narrowed the market share gap on the currency front with the NSE. This May, the BSE board had approved the merger of the struggling USE with itself. The USE has not only been facing dwindling volumes but also erosion of networth. Markets watchdog Sebi rules say an exchange should have a networth of Rs 100 crore at all times. But USE's networth has been eroding and it may not be able to sustain this above the threshold limit beyond a few quarters. As per a financial statement issued by USE, at end-December 2013, its networth stood at Rs 118.13 crore. According to sources, the deal is likely to be structured through a share swap, which is likely to be 1:385, which means USE shareholders will get one BSE stock for 385 of their stock. The deal will be effective April 1. Though BSE has not said anything about the deal details. The BSE board has valued USE at around Rs 150 crore and itself at about Rs 4,000 crore, the exchange spokesman had told PTI in May, adding the merger of USE would lead to equity dilution of around 3 per cent of BSE. USE, promoted by the Jaypee Group, had created a record by registering a turnover of Rs 45,486 crore on its inaugural day in 2010, but since then its volume has been plunging due to competition and lack of infrastructure. 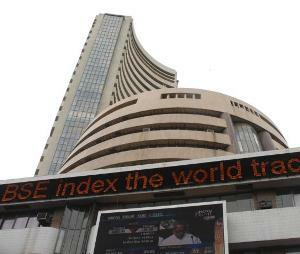 5,400 listed companies, BSE is the world's largest exchange in terms of listed firms. Recently with the upgrade of new trading software from Deutsche Borse, BSE has become the fastest stock exchange in the country with response times of less than 200 microseconds.